Do You Want Restaurants Following You On Twitter? 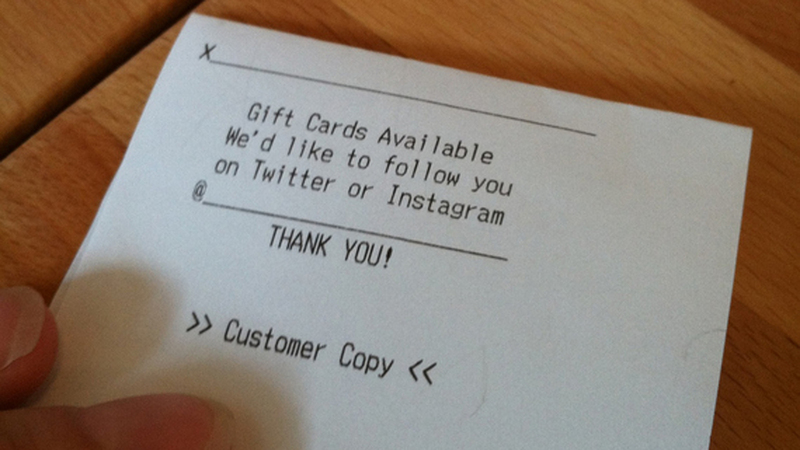 This receipt is from a restaurant in San Francisco. Typical. On one hand, the thought of a restaurant following you on Twitter and Instagram, stalking you, liking your arty snapshots and liking your 140-character quips is obnoxious. And, on the other hand, gift cards.